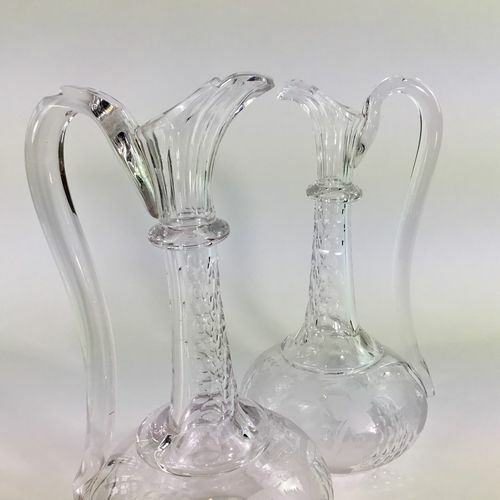 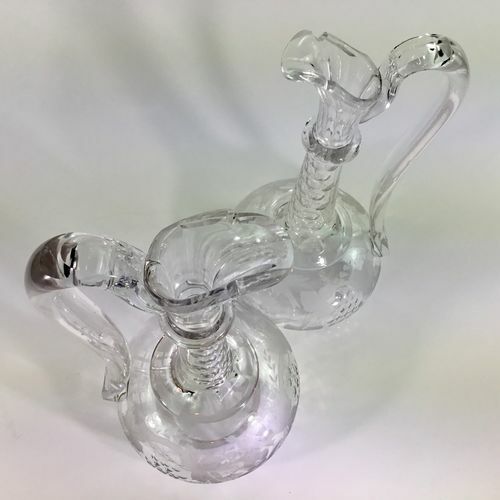 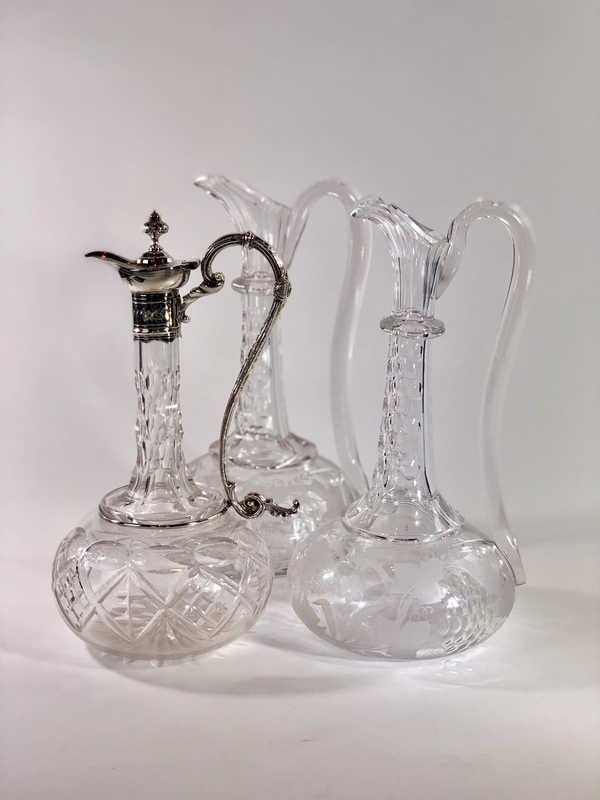 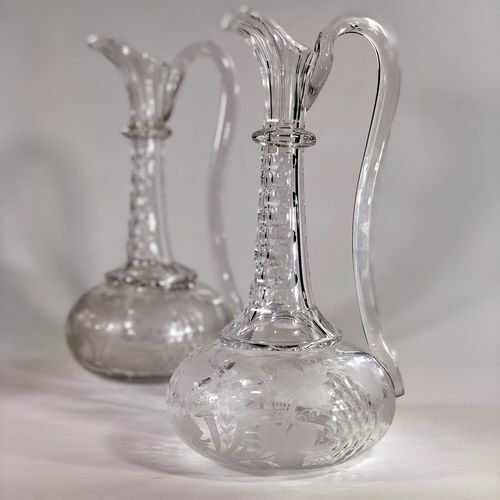 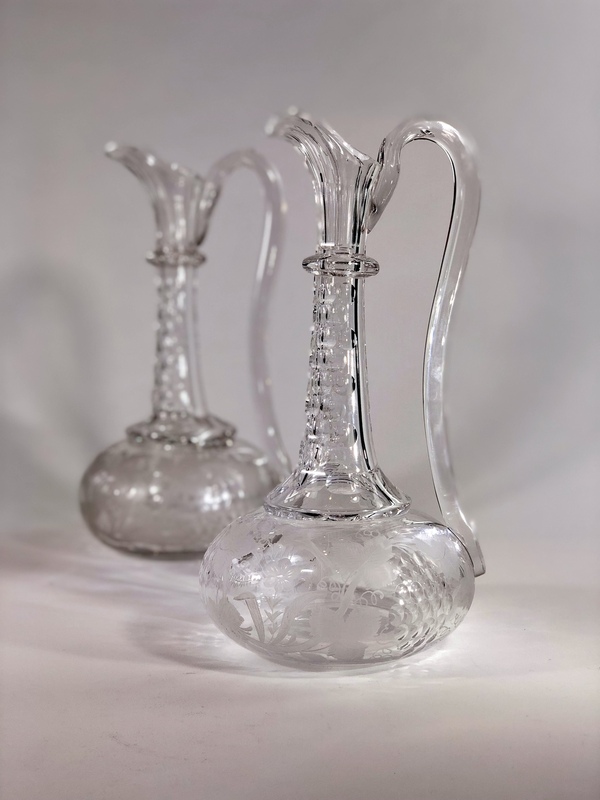 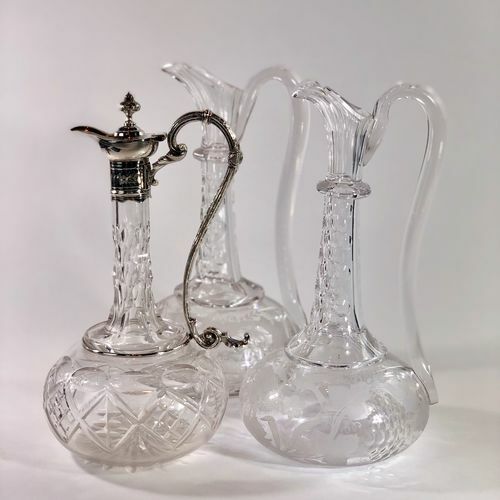 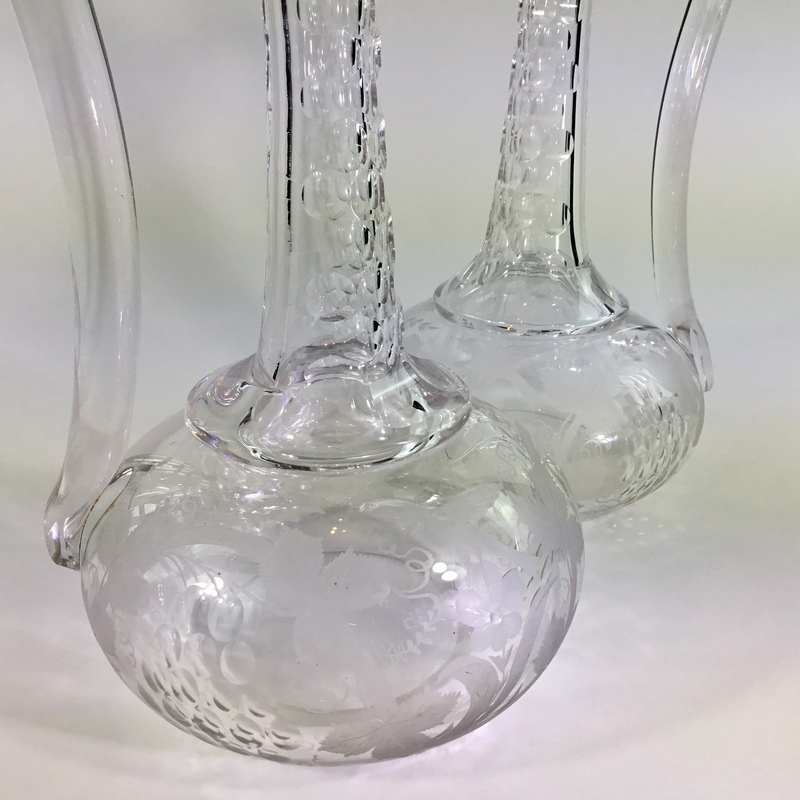 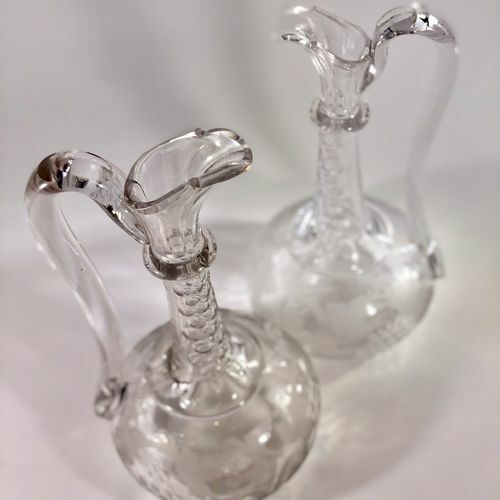 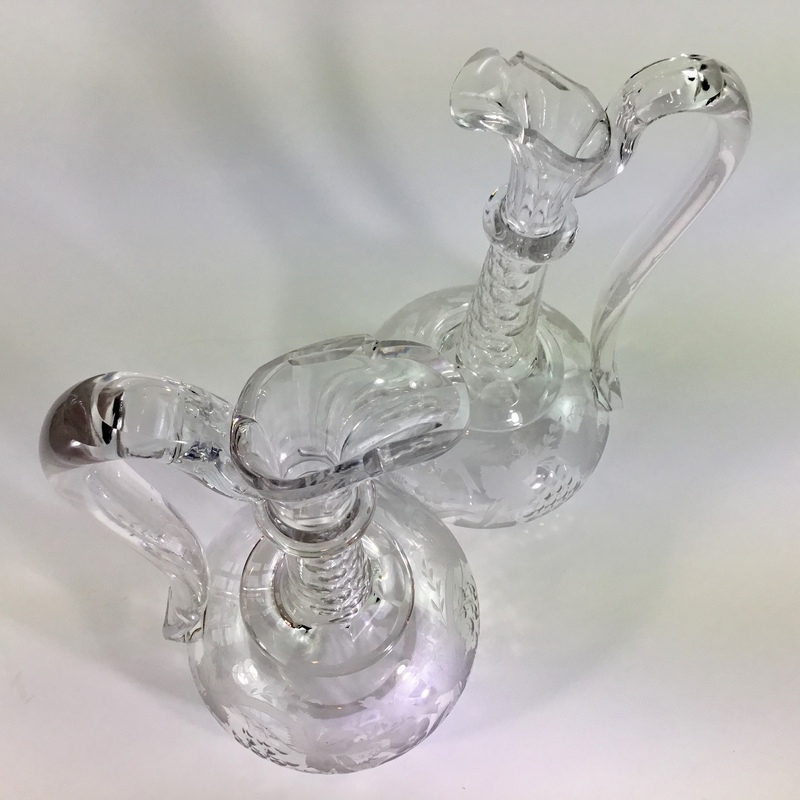 A fine pair of late Georgian vine etched glass ewer claret jugs with swan neck handles. 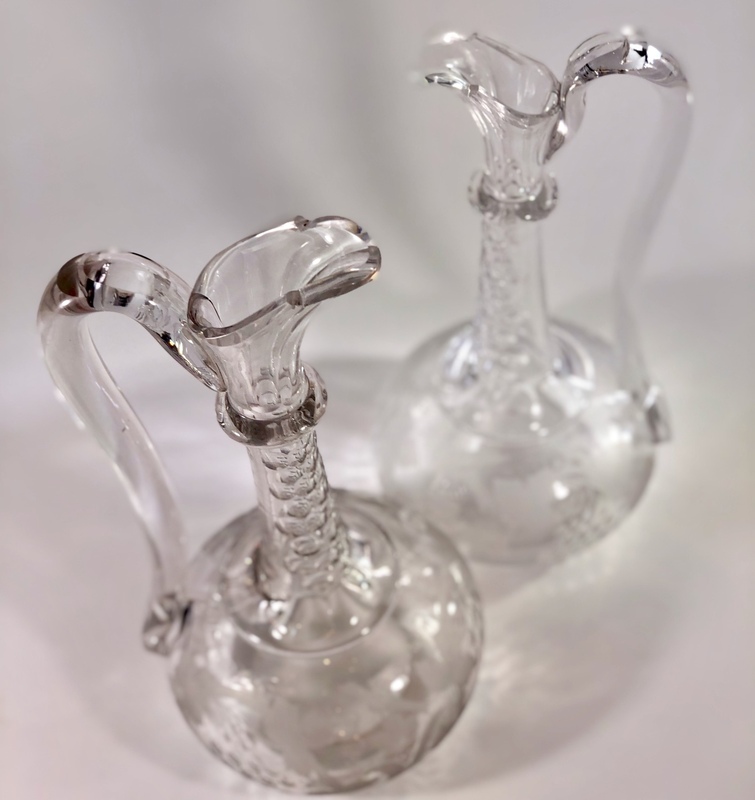 These jugs were not made to have stoppers. 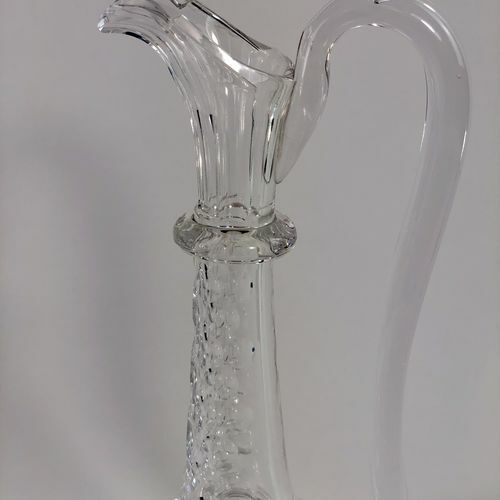 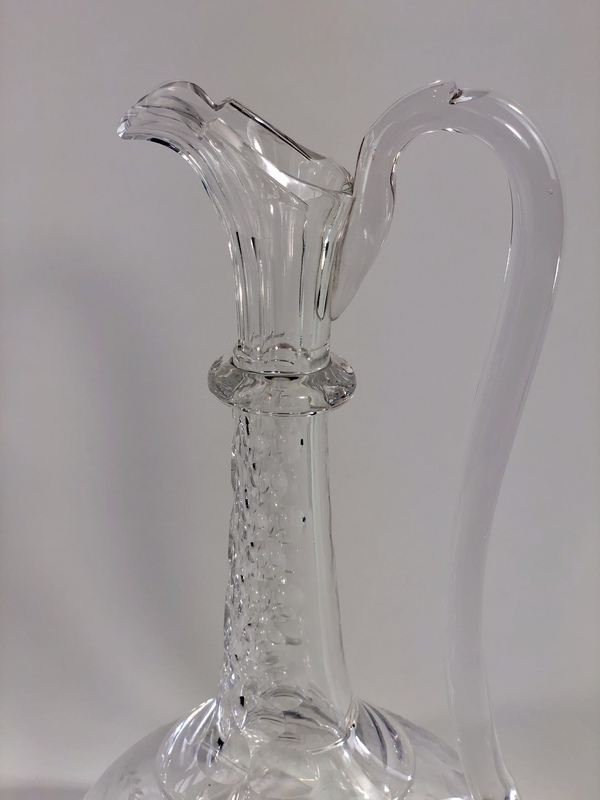 There is another similar silver plated claret jug available from the website. 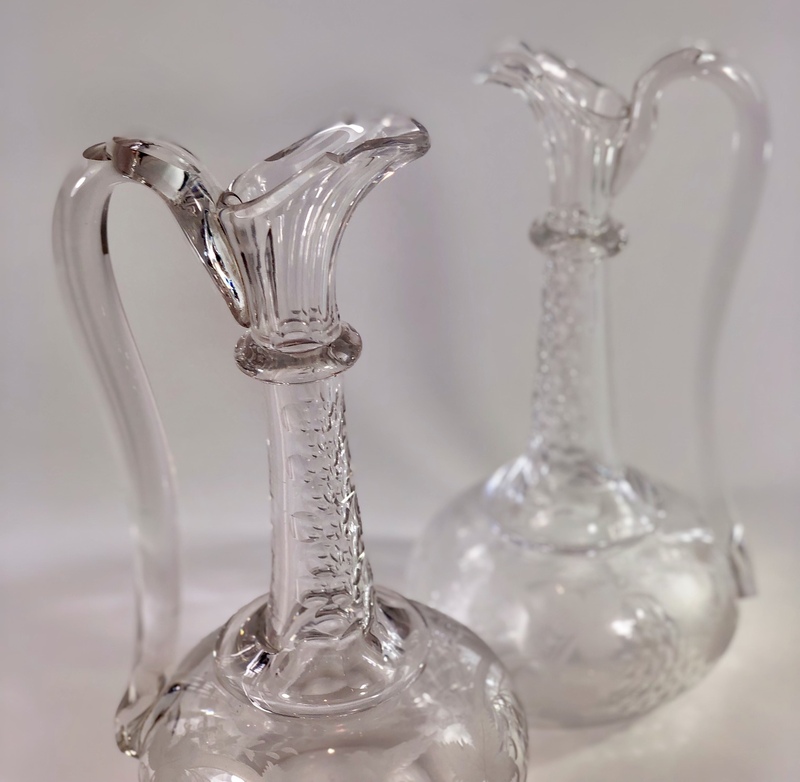 The jugs are a pair, but because they were handmade in the first half 19th Century one is very slightly smaller than the other, although they both hold a bottle of wine each.